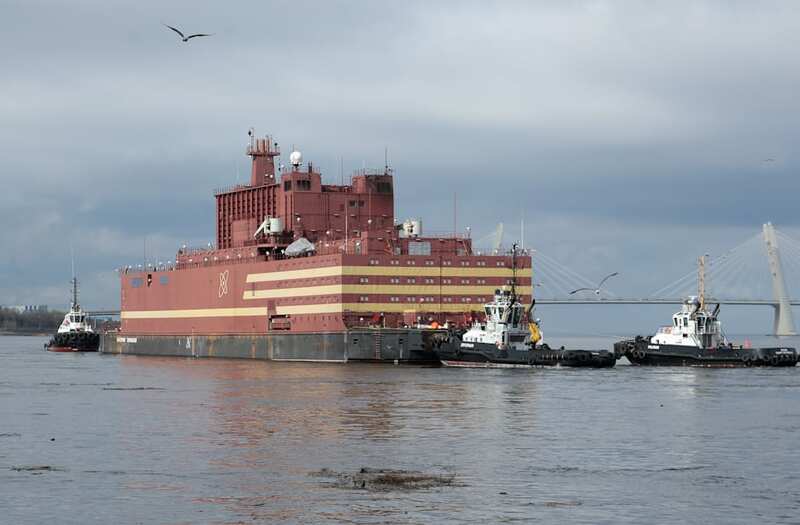 You can see behind the Russian flag the Akademik Lomonosov setting sail on its maiden voyage, the creation of a state-controlled nuclear energy firm, designed to send power to remote locations. Branded with that unmistakable atomic logo, the nuclear power plant will be towed through the Baltic Sea where it will then be loaded with nuclear fuel before being towed to Pevek, where it will be put into service in 2019. As remarkable as it is, Greenpeace experts worry the so-called “nuclear Titanic,” floating in the water, could pose a risk to the environment.